A new bill in the California State Assembly would provide $100 million to expedite cleanup efforts in neighborhoods affected by lead poisoning from the now-shuttered Exide Technologies battery plant, including Boyle Heights. The bill, AB 1462, passed the Assembly Committee on Environmental Safety & Toxic Materials on Tuesday and now heads to the Assembly Appropriations Committee. 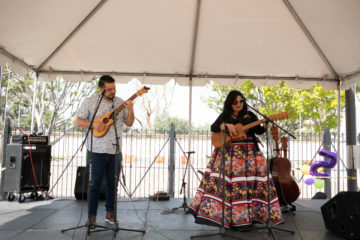 Assemblymember Miguel Santiago, D-Los Angeles, whose district includes Boyle Heights, introduced it. The plant in nearby Vernon closed in 2015 after state regulators detected lead in the soil surrounding the facility, which had been operating for more than three decades on a temporary permit. Lead dust, a byproduct of battery recycling, traveled through the air and settled in the soil. The toxic metal is known to cause neurological problems and developmental delays in children. The Los Angeles Times has reported that a California health department analysis found nearly 300 neighborhood children under 6 years old had elevated blood lead levels in 2012, the last year the plant was in full operation. Yards in about 10,000 homes have soil lead levels higher than 80 parts per million, the highest level the state considers safe for children’s play areas. Cleanup efforts, however, are focusing on homes within a 1.7-mile radius of the plant that have lead levels higher than 400 parts per million — the federal Environmental Protection Agency’s much less tough standard. Boyle Heights has some of the highest rates of contamination, with nearly 1,500 homes with elevated lead levels and close to 700 qualifying for cleanup, according to the Los Angeles Times. Though the state Department of Toxic Substances Control (DTSC) pledged to clean up 2,500 properties within two years, only 717 had been cleaned by April 5, according to the DTSC. Exide funded an initial cleanup of about 200 homes close to the plant, but the state has covered subsequent efforts, paid for with a $176.6 million appropriation in 2016. Residents have urged the state government to speed up the cleanup. Many are either waiting for their yards to be cleaned up or have soil lead levels below 400 parts per million. Longtime resident Carlos Montes, a member of the Boyle Heights Neighborhood Council was part of the initial campaign to close down the plant and has been critical of the state’s response. “The cleanup is going slowly and not efficiently, so we have demanded that the state put money into the cleanup,” Montes said. “If there’s a bill to put money into it, I’d support that. 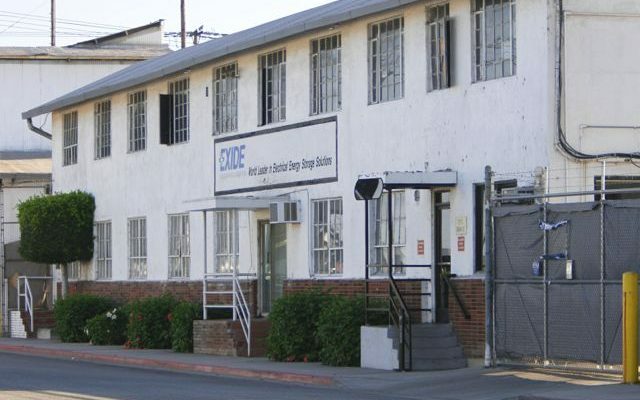 Photo: Exide Technologies in Vernon. By Art Torres.